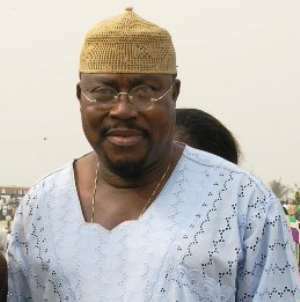 Under fire Ghana Football Association (GFA) chairman, Dr Nyaho Tamakloe faces a police enquiry for alleged threats on the chairman of the Ghana League Clubs Association, J.Y Appiah. Dr Tamakloe is alleged to have threatened Appiah in a reaction to the vote of no confidence passed in him at the GFA's extra-ordinary congress on Wednesday. Joy Sports can confirm that efforts by acting minister of state in charge of sports, Rashid Bawa, to impress upon the former Bofoakwa Tano boss to rescind his call on the police to take up the matter has failed. J.Y Appiah told Joy Sports that he filed a report to the Greater Accra regional police command yesterday to forestall any attempts on his life and property. It is alleged that Dr Tamakloe had initially approached a close associate of Appiah to intervene in GHALCA's resolve to have him removed. But later decided to instead place a call to the peace broker threatening to take on the GHALCA boss.